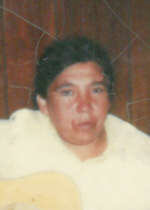 Evelyn Marian Keller, late of Briarlea, SK, passed away on May 9, 2018 in Prince Albert, SK at the age of 79 years. Evelyn will be lovingly remembered by her sons: Vern (Lorna) Keller, Joseph (Donna) Manitopyes, Kelfert Keller, Benjamin (Loretta) Keller, Kevin (Nicole) Keller, Alvin Keller, and Johnathan Longman; her daughters: Beverly (Danny) Moosehunter, Annie Standing, Suzanne (George) Naytowhow, and Darlene (Marcel) Keller; her sister: Elizabeth Wolfe; her sister-in-law: Priscilla Pelletier; her brothers: Brian (Lena) Campeau and Eugene Campeau; as well as numerous grandchildren, great-grandchildren, nieces, and nephews. Evelyn was predeceased by her husband: Alvin “Keller” Sayer; her sons: Raymond, Julius, Roy, Brian, and Reginald Keller; her parents: Benjamin and Annie Campeau; her brothers: David Campeau and Raymond Denomie; her sisters: Myrtle Keller, Cora Campeau, Esther Longman, Antoinette ‘nee Campeau’ Moise, Elizabeth Denomie, and Florastine Campeau; her granddaughters: Kathy Beuckert and Candace Naytowhow. A Wake Service will be Commencing Thursday, May 10, 2018 to Friday, May 11, 2018 at Sturgeon Lake Community Centre, Sturgeon Lake, SK. A Funeral Service will be held Saturday, May 12, 2018 – 11:00 am at Sturgeon Lake Community Centre, Sturgeon Lake, SK. To send flowers to the family of Evelyn Marian Keller, please visit our Heartfelt Sympathies Store.